You’ve probably heard that reviews are important to your business. Have you done anything to increase reviews or have you decided you’re doing enough? If you don’t have several recent reviews, you may be losing out on web traffic, local customers, and overall sales. In addition to being a business owner, you are a consumer. For now, let’s look at things from a consumer perspective. Let’s say you’re looking for a hotel in a major city for a weekend wedding. What’s the first thing you do? If you’re like most people, you go online and look up hotels in the area. Also, you probably have an idea of what you want in a hotel: Does it take pets? Is there a workout room? But these are above and beyond the basic, bottomline questions: Is this a good hotel? Is it clean? Are guests treated well? Answers to these questions will drive your decision to choose a hotel. And these are questions answered by customer reviews. If you’re seeking real, relevant information from someone who has stayed in that hotel, you will read the reviews before making your reservation. Now picture yourself deciding to buy a new laptop for your teen. In addition to price, you probably want to know if the laptop is going to work well for a 14-year-old. Online reviews give the laptop 4.5 stars and say it is a great value. Okay, you’ve found the laptop, so where will you buy it? It’s available from four retailers near you. One has the lowest price and has two out of five stars. Two reviews say that the products are good, but customer service is poor, with several instances of “won’t look to see if they even have (my item) in stock.” One of the other stores charges more, has great customer service, and has five out of five stars. Reviews say they are reliable and embody a “customer-first” philosophy. There’s even a video review of a satisfied customer in the store. Which will you choose? Still not a believer? Let’s look at the numbers. According to Statistica, in 2017 product reviews were the most influential factor in decisions to purchase anything from baby care to home electronics. According to G2 Crowd, 95% of consumers read online reviews before making a purchase; 93% of local consumers use reviews to determine if a local business is good or bad. And Spiegel Research Center found that there is a 270% higher likelihood of a consumer purchasing a product with five reviews than one with no reviews. Reviews establish your business as a trusted source for the product or service you provide. Google often lists local businesses with the most reviews at the top of the local pack in search results. You use reviews. Your customers use reviews. Google uses reviews. The numbers say you should use reviews. What more do you need? Direct your customers to your Google Business listing or Facebook page to leave reviews. 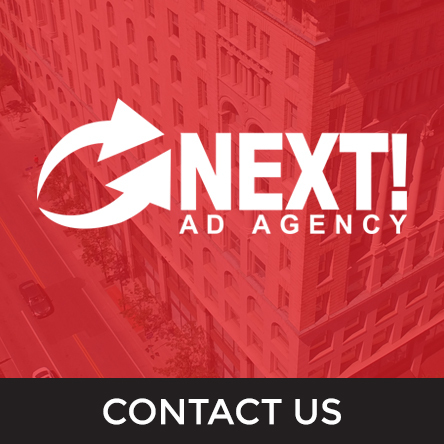 For more information on reviews and other marketing help for your business, visit Next! Ad Agency. While you’re there, take a look at our reviews!